Hotel Crystal Palace is a 2 star economy hotel in Mussoorie offering pleasure and warm hospitality for Mussoorie travellers. 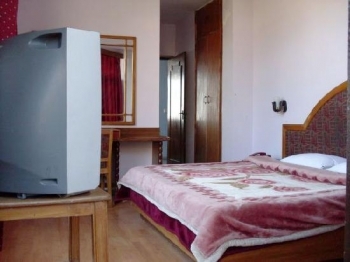 The hotel provides well decorated and furnished room equipped with all modern facilities and amenities. Easy accessibility, delicious food and economy rooms place this hotel on top among travellers. 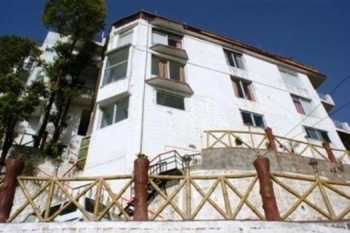 Located at commanding place near Library bus stand, the hotel provides easy reach for tourist to visit all famous spots in Mussoorie Hill Station. Spacious and well interiors of rooms makes each second pleasurable in the hotel. Hotel Crystal Palace is situated at advantageous location next to Library bus stand near the Mall Road in Mussorie, at walking from Library Bus Stand. Nearest railway station is at 32 kms in Dehradun and the Jolly Grant Airport is at 50 kms away from Crystal Palace. Hotel Crystal Palace have 22 rooms of two varieties - Deluxe and Super Deluxe. All rooms are spacious, well furnished with wooden furniture and tastefully decor interiors. Amenities and facilities includes private bathroom and satellite TV rooms with laundry service on request. An in-house multi cuisine restaurant in the hotel serves Indian and Chinese food. Breakfast, lunch and dinner can be enjoy in this nicely decorated restaurant.